Interested in sustainable port or city development with a focus on integrated stakeholder participation? 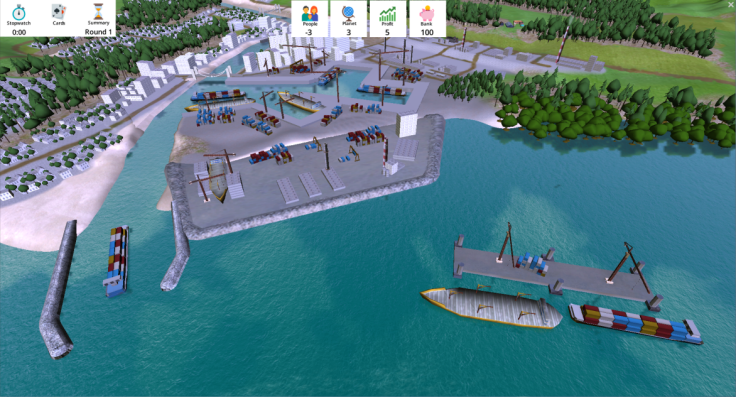 The 'Port of the Future Serious Game' is now available. The Port of the Future Serious Game aims at raising awareness for the current policy-making challenges of ports, so as to support the port stakeholders in achieving sustainable development. The game applies a fictional but realistic environment, autonomous scenarios, a set of measures and a qualitative set of indicators that provide information on the effects for society, natural environment and economy. 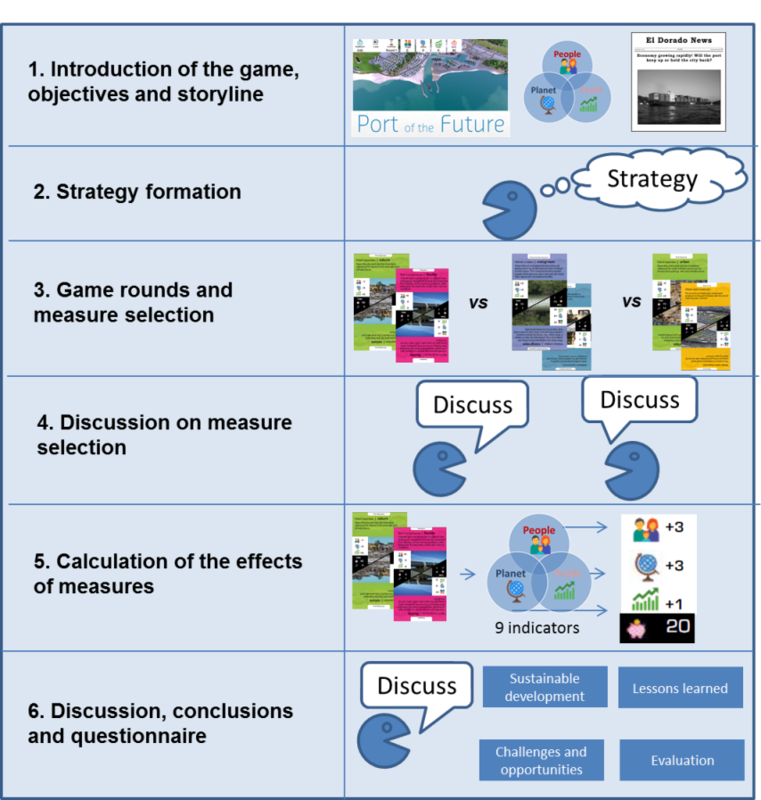 By introducing real-world challenges associated with port development and going through a decision making process for selecting sustainable measures, the stakeholders can experience aspects of sustainable port development first hand through the serious game. 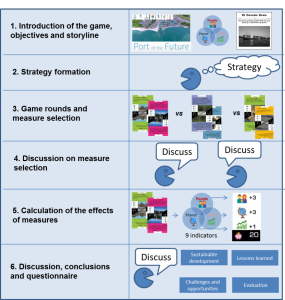 The Port of the Future Serious Game can also facilitate policy-making in ports with respect to socio-economic development, taking into account the natural requirements and the impact of sustainable design on balanced growth. For these reasons, the game can be played by a wide range of players including port authorities, planners, managers, policymakers, private companies, NGOs, scientists, nature developers, scientist, students and citizens. The procedure of the game can be summarized as follows. The aim is to move away from the traditional port and to reach the “Port of the Future” vision. To achieve that, a team of up to five players choose appropriate policy measures in four rounds. Different scenarios will be played to investigate the wide range of possible impacts and to trigger the debate among the players by creating constructive conflicts between them during the negotiation and decision-making process. This is expected to demonstrate that successful policy-making in ports can only be achieved when the stakeholders work in close collaboration with each other. Contact us for more information about the game, examples of succesful implementation and how it can be ordered.